Pratt Medical has been serving the healthcare industry for over 27 years. We have produced a number of phototherapy products to aid newborns suffering from jaundice. Beginning with home phototherapy, the company has now expanded to in-hospital treatment. 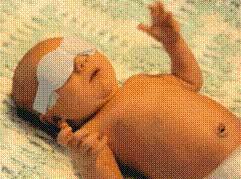 Our easy to apply eye cover masks are beneficial to busy hospital's nurses and staff, and were specially engineered by a pediatrician keeping the baby's comfort in mind.